She is one of only two living people in the world who was born in the 1800s – and puts her longevity down to eating bacon and eggs every morning for over a century. 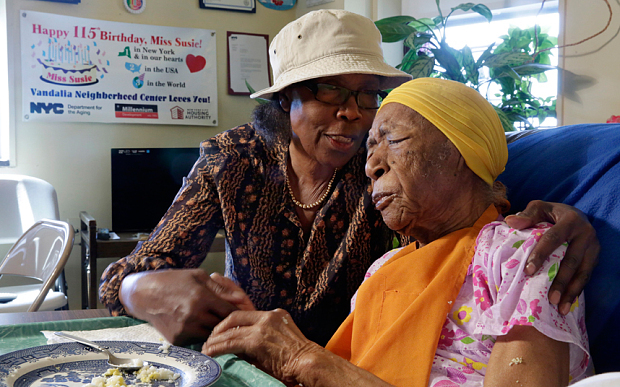 Susannah Mushatt Jones, the world’s oldest person, celebrated her 116th birthday. Miss Jones was one of 11 children born to a father who picked cotton in Alabama. After leaving school she joined him in the fields before heading to New York where she worked as a nanny in the Roaring Twenties.